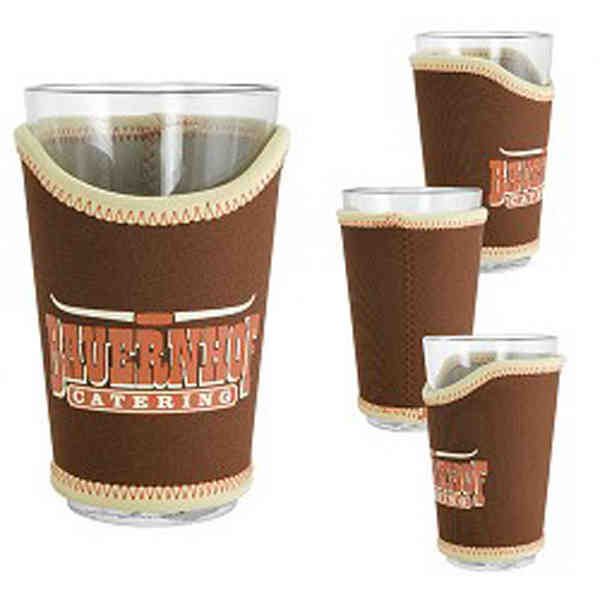 Our Stacia deluxe pint glass sleeve is ideal for promoting bars, restaurants and breweries. Made of high quality neoprene (wet suit material), this sleeve is collapsible which helps you save on shipping! Available in a wide selection of color choices, customize this 5" x 5" sleeve with an imprint of your company name or logo in up to 6 colors. The opportunities for brand exposure are endless! Keep your beer cool and invest in this fun promo for your upcoming event. Size: 5 " x 5 "
Ship Weight:150 ct./ 15" x 15" x 10"/12 lbs. For puff in, please specify when ordering. For puff in please specify when ordering.